Teena was in B.C. recently and brought me back some beer that I am unable to get here. Knowing that I am a huge hops fan, she made sure that there were 2 Double IPAs from Phillips Brewing. The last time that Teena was out west, she brought me back a Phillips Hop Circle IPA. Of that I wrote, "This is a very good beer. I would enjoy trying this on cask or on tap. 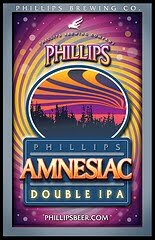 Also, I would like to get hold of some of their other brands, especially the Amnesiac Double IPA"
Wasn't I happy to see then that she brought me back, not one but two of the Amnesiac Double IPA! How does the company describe this beer? "Not for the faint of heart. The bigger meaner cousin of Hop Circle IPA"
Now an IPA, or Indian Pale Ale, is a style of beer known for it's hoppiness. Many years ago it was brewed in England and then shipped via the old sail ships to India to satisfy the troops stationed there. As beer can lose its flavour over time, this beer was heavily hopped to keep its taste over the long voyage. 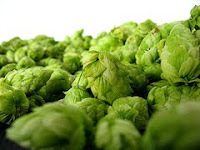 Hops are also an all natural preservative which in helped to keep the beer from going bad during the long, hard hot journey. So what is a Double IPA? There really is no definition. Imperial stout is a term used for stouts which were over-hopped, over malted and over-alcoholed for the long trip from England to Russia. But isn't that is what an IPA is? Over-everything for the trip to India. The best definition I found was on Beer Advocate, "Take an India Pale Ale and feed it steroids, ergo the term Double IPA. Although open to the same interpretation as its sister styles, you should expect something robust, malty, alcoholic and with a hop profile that might rip your tongue out. The Imperial usage comes from Russian Imperial stout, a style of strong stout originally brewed in England for the Russian Imperial Court of the late 1700s; though Double IPA is often the preferred name." This beer weighs in at 8.5% APV and comes in a 650 ML bottle. 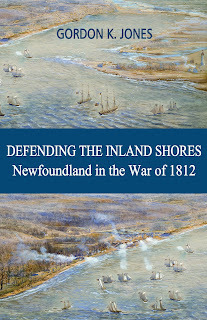 I am looking forward to it. Time for a taste ... or two. The beer pours a deep copper or light brown in colour with a long lasting head. It has been sitting for 3 to 4 minutes in front of me and still holds a lot of head, which is surprisingly creamy looking. On the first sip or two, there are lots and lots of lacings evident along the side of the glass. This is a very nice balanced beer. I can smell the floral hop notes before I take my first sip. Lots of hop bitterness when tasted, but not in a "smack your face' way. That wonderful hop bitterness is present through the entire taste experience and in its long finish, but not in an overpowering way. I love this beer! This is what I search for in a perfect beer. Phillips have achieved that perfect balance between malt and hops and let the hops win, which is what I look for.Problem is that it does not taste like an 8.5% beer which could be dangerous. I have now had two beers from this brewery and am in love with it. One day, hopefully, I will be able to pay it a visit.